A great round of golf is hard to beat. However, add a soothing spa and spectacular hotel to the post-round mix, and you've just taken the experience to another level. The phrase "resort course" is a loaded gun, often conjuring images of worn courses, in need of a cash injection. Funds are often siphoned into the hotel and spa pot, leaving the course wanting. Well not at these spots. We've picked 10 of the best golf resorts in England, where accommodation, food, pampering and golf is of the highest order. Stoke Park Country Club, Spa & Hotel is one of just two five-AA Red Star golf clubs in England and the historic land on which it stands is recorded in the Domesday Book of 1086. Laid out across 300 acres of parkland – featuring lakes, historic gardens and monuments – the 27-hole golf course was designed by the legendary Harry Colt and opened in 1908. The three loops of nine are presently undergoing a seven–figure upgrade with the first phase of work – rebuilding every bunker on the Colt Course – set to be completed in April. Host to the PGA Matchplay in 1910 and the golf match between Sean Connery’s James Bond and Auric Goldfinger, in the 1964 film, Goldfinger. The signature seventh hole was the inspiration for the original 16th at Augusta National, home of the US Masters, and hole 21 features the much-photographed Repton Bridge, named after gardener Humphry Repton, who picked up the mantle at Stoke Park from Brown. Head to the Stoke Park website for more information. Undoubtedly QHotels’ highlight, Slaley Hall is a magnificent four-star hotel in an elegant Edwardian mansion set in 1,000 acres of Northumberland moorland and forest. Lee Westwood and Retief Goosen have enjoyed success on the fairways at the award-winning Hexham venue which has two challenging championship courses – the Hunting and the Priestman – which has played host to no fewer than 18 European Tour and European Senior Tour events. The 7,000-yard, par-72 Hunting, which was designed by Dave Thomas, offers lush sweeping fairways, streams, lakes, towering trees and banks of rhododendrons. 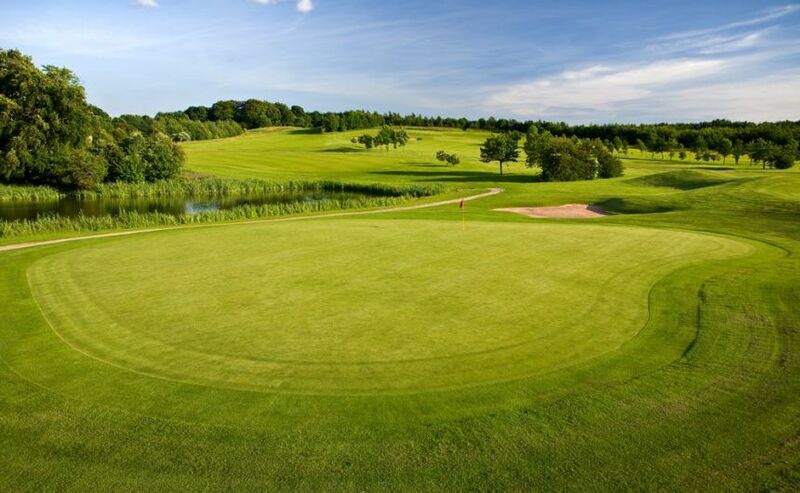 Complementing its sister course is the Priestman, which opened in 1999 and sits on the west side of the estate, with panoramic views of the Tyne Valley and some daunting water features for players to negotiate if they are to score well. Head to the QHotels website for more information. Featuring 27 holes designed by architect Dave Thomas and outstanding practice facilities, Oulton Hall boasts the north of England's leading golf performance centre. Along with its state-of-the-art QHotels Golf Academy, the top venue near Leeds offers a range of other facilities aimed at fine-tuning your swing. The Claret Jug course restaurant is the ideal place to re-energise after a long day on the course, while an on-going £1.1m upgrade of Oulton Hall’s hotel facilities means guests can relax in comfort after a hard day on the fairways. Head to the QHotel website for more information. Forest Pines Hotel & Golf Resort, selected by The R&A as host venue for the 2013 Boys Home Internationals, offers 27 holes of golf, which meander through majestic pines in three loops of nine. Challenging and beautiful in equal measure, the resort boasts an extensive range of first-class facilities. 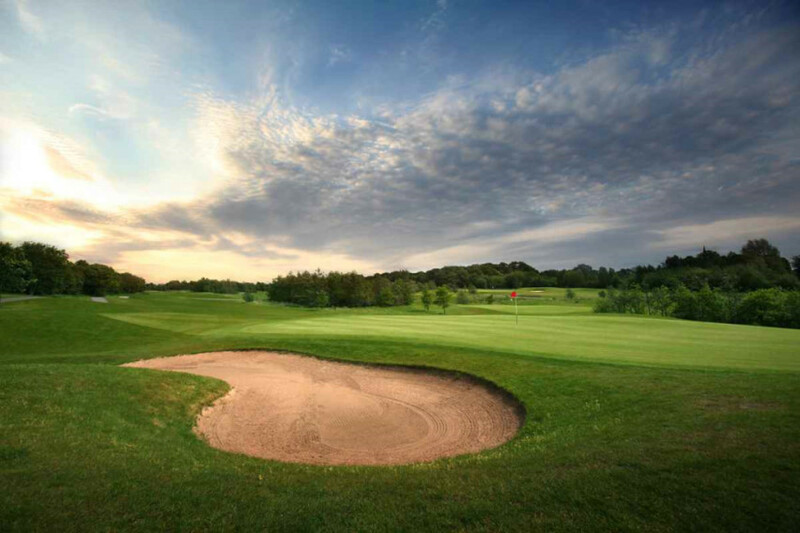 Located a short distance from junction four of the M180 and nestled in 190 acres of beautiful woodland, its position makes it an ideal club for golfers in north Lincolnshire, Humberside and beyond. 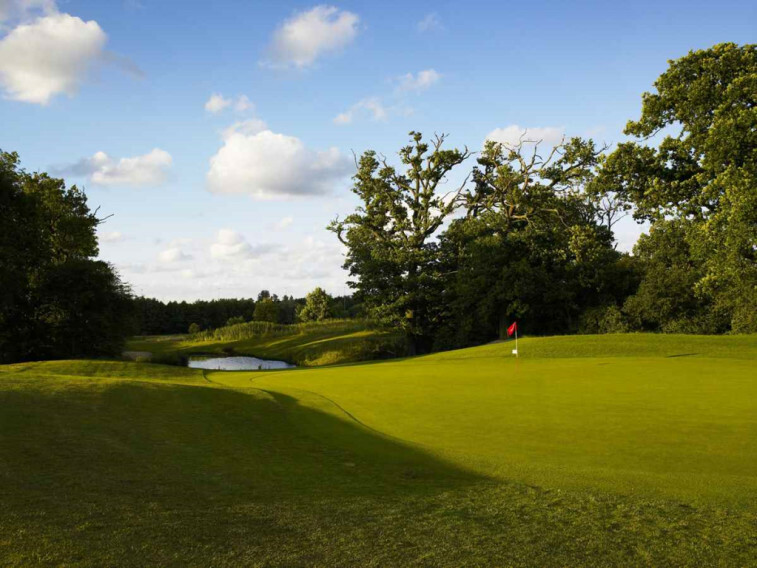 One of the west Midlands’ premier golf destinations, Forest of Arden is set in 10,000 acres of Warwickshire parkland. 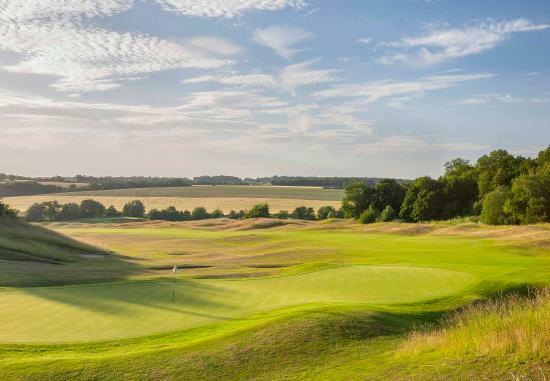 Boasting two impressive layouts, the Arden Course has hosted numerous European Tour events, including the British Masters and the English Open, Colin Montgomerie and Darren Clarke tasting victory on the layout. The course was designed by Donald Steele in 1992, and with a variety of different tee boxes on show, and hazards galore, it’s a tough track on the best of days. Complementing the Arden is the Aylesfor Course, which has recently undergone a redesign. Shorter in length than its sister, but just as enticing, with superb green design and bunkering featuring throughout. Head to the Marriott website for more information. Set in 270 acres of Cheshire's finest parkland, located one mile from the picturesque village of Prestbury, Mottram Hall was the host venue for the 2013 European Seniors PGA Championship. The Championship Course, comprising of magnificent parkland fairways dotted with oak and beech trees and well-guarded greens, is broken up into two contrasting circuits of nine. The front nine, with its impressive backdrop of the 18th century hall, gently rolls over meadowland and offers the golfer many chances to make a score. The back nine winds through some lush woodland and is a much more demanding test of golf. As part of a £1.5m refurbishment programme, Mottram Hall has recently added to its impressive facilities by opening a new clubhouse, Claret Jug restaurant and halfway house. Sat on the edge of the Lake District and spread across 300 acres of parkland, Breadsall Priory Marriott Hotel and Country Club boasts 13th century architecture and beautiful surroundings. Dating back to 1260, Marriott’s oldest property boasts two charismatic Championship layouts, which cater to differing styles of play. The Championship Priory Course, designed by David Cox, is a challenging layout, with fast greens and undulating fairways. On the other hand, while the Championship Moorland Course is of a similar outstanding ilk, it is much flatter and is more playable to higher handicappers. Head to Marriott's website for more information. This stunning setup is located seven miles from Manchester, and offers a luxury hotel in a picturesque setting and championship golf course in 200 acres of sprawling parkland. Fuel your round at the AA Rosette award-winning restaurant, before taking on the enchanting layout, regarded as one of the north of England’s premier tracks. Designed by Michael King and Ross McMurray of European Golf Design, the course opened in 1998 and has played host to a number of illustrious competitions. Worsley Park makes the most of the natural water features and contours of the land, requiring golfers to use both brains and skill to score well. Tudor Park, located in Maidstone, Kent, is just 30 miles from London, yet feels a world away from the Big Smoke. Featuring a spectacular spa, hotel and restaurant serving up local ingredients, the Championship course is equally as impressive. Located on an ancient deer park, the Donald Steel design meanders through rolling parkland countryside, and was rewarded for its excellence with playing host to EuroPro Tour events. Surrounded by mature trees and with backdrops of the Kent countryside, the central feature is the magnificent Milgate House. Located in 200 acres of lush Hertfordshire parkland, this Jacobean country manor is a gorgeous site. The course is the first to be designed by Jack Nicklaus II, and still incorporates features from its earlier nine-hole course, laid out by esteemed architect Harry Vardon. The exciting layout boasts double fairways and numerous water hazards. The front nine is open, with wide fairways on offer, while the closing stretch is narrower, and has trees lining the fairway.